Thanks for reaching out to us. We'd love to hear from you! 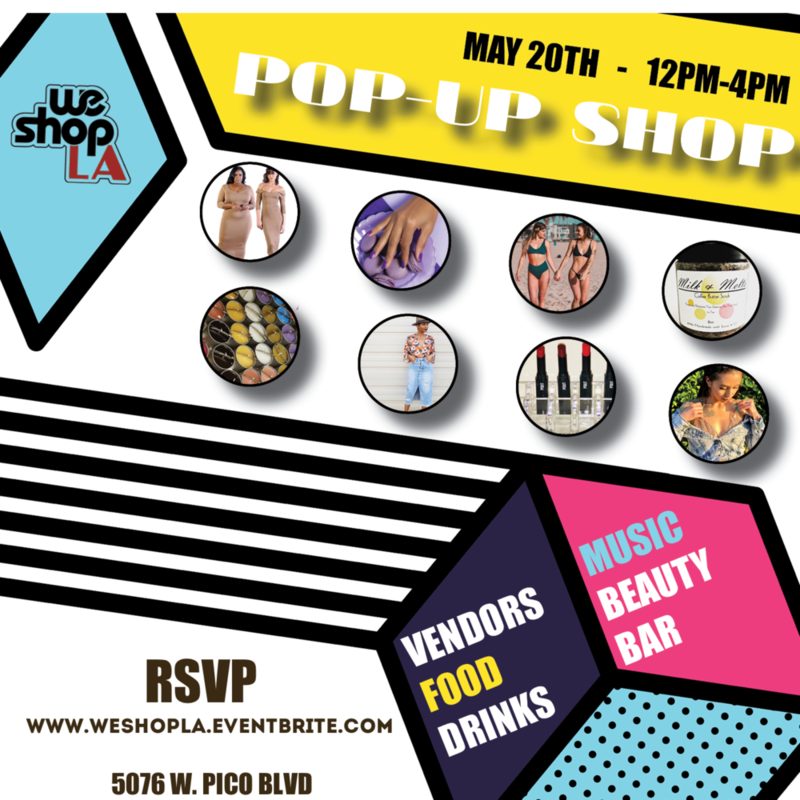 We Shop LA is providing a dope shopping experience for you and all your friends. Come out and support local Los Angeles vendors, sip delicious cocktails, vibe to music, network and SHOP. Admission is free and kids are welcome. This Event Is Powered By BGG Creative. We Shop LA is providing a dope shopping experience for you and all your friends. Come out and support local Los Angeles vendors, sip delicious cocktails, vibe to music, network and SHOP. Gift bags for the first 20 attendees. We are super excited about this event. 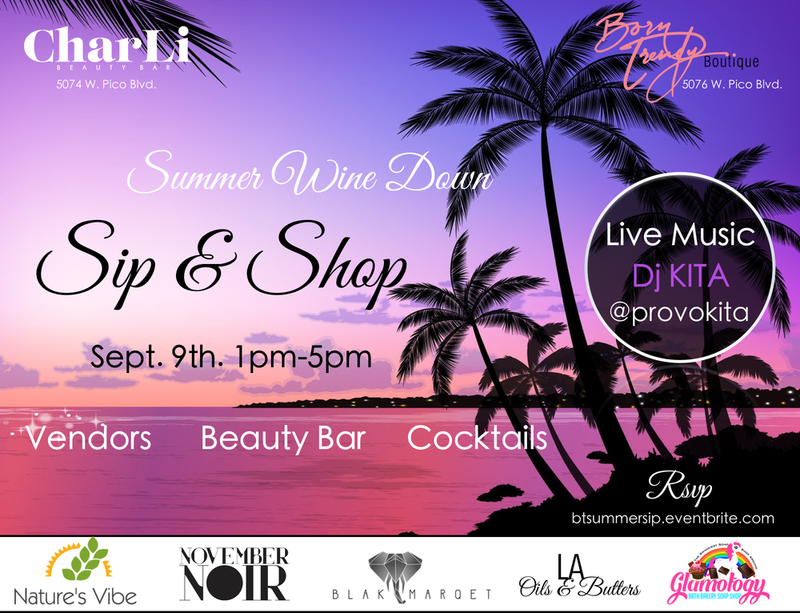 Born Trendy Boutique and Charli Beauty Bar have teamed up to take advantage of Cali's Summer weather. 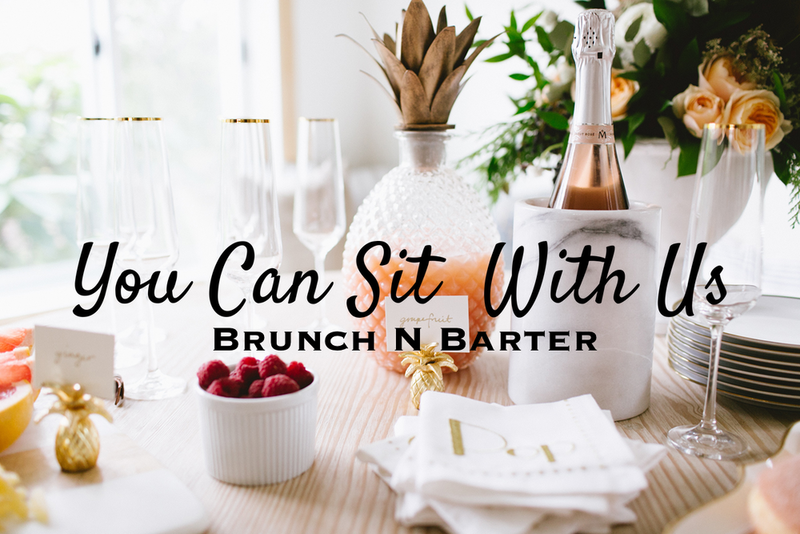 Come out, sip cocktails, and mingle with other ladies who love to shop!